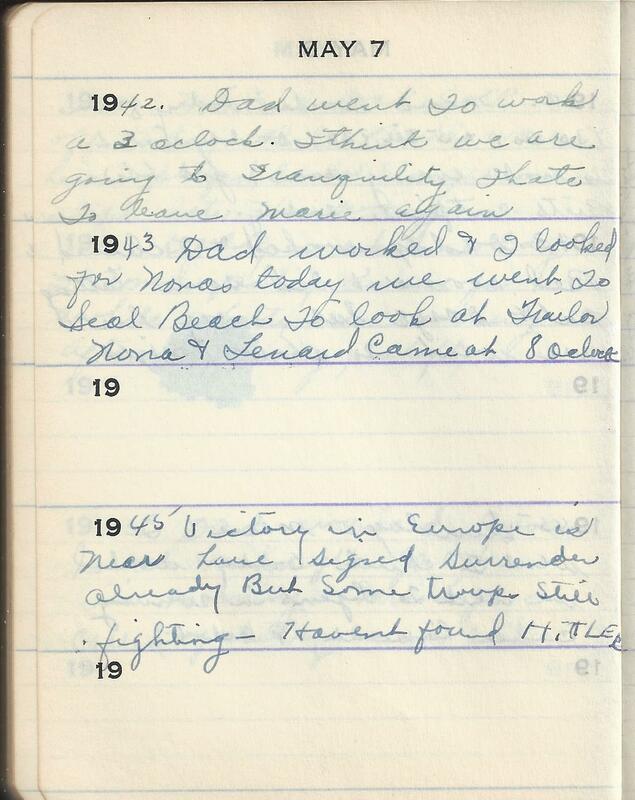 1943 Dad worked & I looked for Nonas today we went To Seal Beach To look at Trailor Nona & Lenard came at 8 oclock. 1942 entry: Tranquility is a small town near Fresno California. This entry was posted in Tennant, Uncategorized, Wright and tagged Family history, genealogy, Martha Marie Tennant, Martha Marie Wright, Martha Marie Wright Tennant, Martha Tennant, Rene Baron, Seal Beach California, Sylvia Rene Stevens, Tranquility California. Bookmark the permalink.